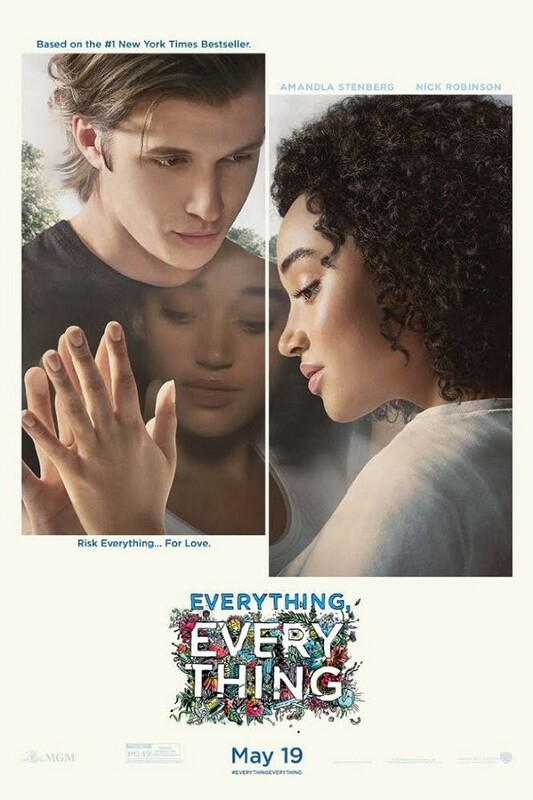 "Everything, Everything" is a good show. Not great, but good. Teenagers will love it. In the movie the teenagers are right the parents are wrong. There is a young girl, Maddie, who has to live inside her beautiful hermetically sealed home. She has SCIDS. Her immunity is terribly low and she's allergic to everything. Her mom, a widowed doctor, is naturally protective. A boy, Olly, her age and his family move in next door. The rest is history and somewhat predictable. The actors, Amandla Stenberg as Maddie, Nick Robinson as Olly, Anika Noni Rose as the mom, work nicely together. The director, Stella Meghie, has a gentle touch and seems to know her actors.